The Imperial Cutter is a large and heavy ship that eats a lot of distance as it slows down. On top of that the Mettle's grade 5 engineered dirty thrusters, with experimental drag drives, causes an additional drift to contend with. All that said Ayla handled the Mettle's movements gracefully. With full throttle and all pips to engines Ayla alternated from boost to pulse wave analyzer, again and again, as she rocketed inverted to the planetary ring. Feathering the vertical thrusters she held distance to the ring at a good 25 degree angle view out the front canopy. Her eyes scanned left to right and up and down the entire time. She couldn't hide the excitement, in her otherwise even voice, as she said "I've got a hot one here!" With that I couldn't help but smile. She dumped power from the thrusters, oriented the Mettle's vector, and maintained her attitude right on that glowing rock. I could see that the asteroid was pretty round, and slightly smaller, as compared to it's neighbors. Its bright glow splashing heat off of the edges of the asteroids nearest to it. Ayla fired the pulse wave analyzer repeatedly, matching her vector and attitude, as though the rock might disappear from existence. As we got closer I could see the asteroid had that proper lumpy look. A topography of lumps that always seemed to reminded me of those snake fireworks from when I was a child. How once the snake was lit they would grow apparently out from the ground, arcing and extending away. To me the lumps on an asteroid with a void opal core appear to grow from the center of the asteroid, much the same as those childish snake fireworks. I was drawn back to task after hearing the bubbling of the prospect limpet launched away by Ayla. The left panel contacts tab showed multiple fissures. Following Mettle advising scan complete, Ayla stated coolly "We got opals". Ayla switched to night vision, as I had suggested, and the fissures popped into view like lichen on an ancient stone. And ancient these stones were. Placing the seismic charges tested Ayla's accuracy as she balanced the Mettles' vector, attitude, and speed with the distance of the asteroid. Like a veteran miner, two charges later she was solidly in the blue. Ayla backed up Mettle to around a 1000 meters, selected the left panel, punched detonate now, and the 10 second countdown began. The Mettle jerked and the HUD flickered as the overpressure rocked us from the explosion. Ayla gave me a big hug and wet kiss, then launched 6 eager collector limpets. I gave her a few pointers on how to keep the limpets from expiring to soon, as she moved pips to weapons and began engaging the abrasion blaster. I was impressed, to say the least, as she broke loose chunk after chunk near max range with only one shot like an expert marksman. The refinery messaged us, void opals refined, and Ayla bolted from her chair to the cargo hold. Laughing boldly, I shouted, "What are you doing?" I met her shortly thereafter in the corridor, just outside the cockpit, on her way back to me. 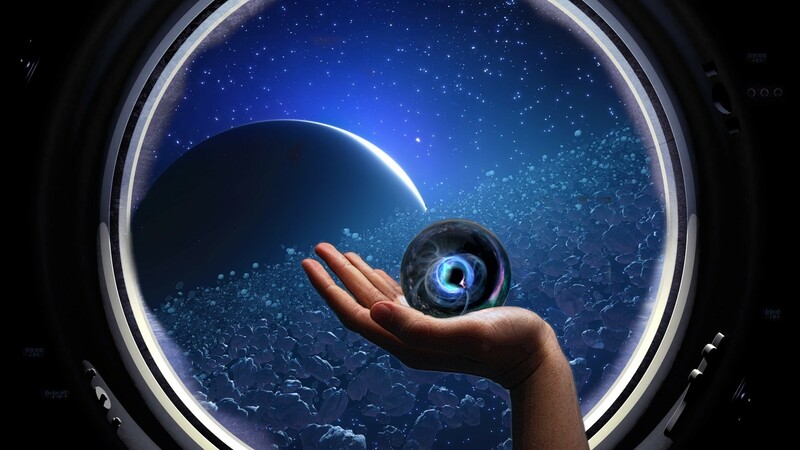 With her first void opal in the palm of her hand, she held it up to one of the corridor's port windows and said confidently "It appears mine is even more gorgeous than the one you showed me". She smile at me softly with the banter then lowered her eyes to the stone once again, and asked "Are low temperature diamonds just as beautiful?". I chuckled and told her, "Let's go find some, and you tell me".